Sapphire and Ruby are excellent orifice jewel materials because of their resistance to wear, heat and corrosion, as well as low friction. Ruby makes an ideal jewel orifice for a similar reason. 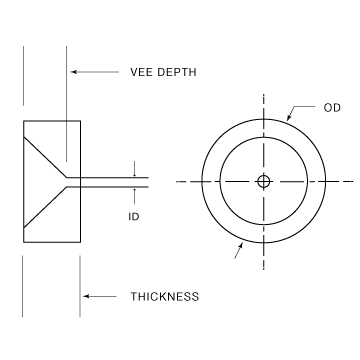 The hole diameter for control purposes is usually specified to be held within 0.0002”. 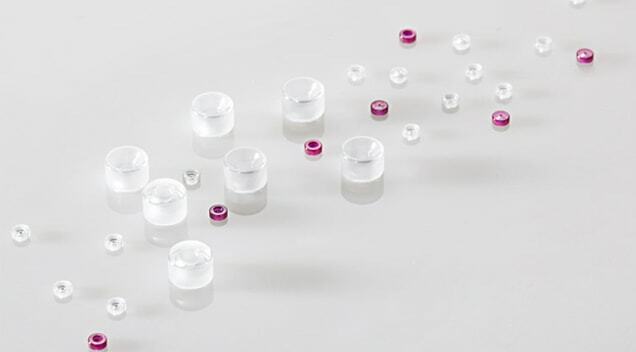 Sapphire and ruby orifice jewels can be used for UHP water jet applications (up to 40,000-50,000 PSI), oil atomizing and the handling of air, hot gases and practically all liquids and acids. Contact us for more info on jewel orifices, orifice nozzles, and orifice valves. Not seeing exactly what you need? We at the Swiss Jewel Company specialize in creating a wide range of custom optical components and custom mechanical components including a variety of shapes - from internal holes and tapers to outer flanges, angles and surface finishes. Contact us and we will consult with you to create a custom component that meets all of your specifications. *Quantity discount pricing will be reflected in cart. Need more? For a quote on large or custom orders, please contact us.